2017 was a learning experience for all of us at Sunayra. We came to Sri Lanka with the best of intentions and some misconceptions. We initially assumed that we had to tackle post-war trauma, and that our students would be living in a past that exists vividly in the global imagination. Instead, we learned that our students were looking forward. They wanted good jobs, meaningful lives, equality, and hopeful futures. It is true that their lives have been deeply affected by war and natural disaster. They have lost family, homes, ties to the past. Yet, these young people are more than just what has happened to their families and communities. They are interested in being drivers of change in their own lives. They are also apprehensive because many of them do not have a family member who has pursued higher education or has a professional job. But these students want something more. They want careers they love, strong communities, and to feel like they have a voice. Because of this, we decided to change our logo, website, and outlook to reflect this new, hopeful, forward-looking, way of thinking. Some of you may have noticed that our website became brighter, our pictures more optimistic, and our tagline changed from "Art. Healing" to "Moving Forward". Young people want resources, opportunities, and support to follow their dreams and we realized it was important that Sunayra's programming and outlook reflected this. We went from looking backwards to moving forward. Once we recognized this, we were able to create an even more tailored curriculum. We addressed the issues that these students faced, many of which are the direct outcomes of war and trauma - alcoholism, depression, abandonment. Unpacking these issues allowed students to put a voice to their fears, and develop the personal and communal tools to collectively lay the foundation for a better future. One of our key takeaways from last year was that substance abuse is a much larger issue than we had previously anticipated. The students discussed just how much substance abuse affects their lives—from the financial aspects, to violence, leaving education, and much more. As a way to engage in this issue, the students designed a banner that outlined the many unfortunate outcomes of substance abuse. We were so proud to see them work to identify the problem and determine what they wanted to communicate, and how to go about doing that. When we finally got to present them with their banner, they were overjoyed to see their hard work displayed for the community to see. In fact, our partner, St. John's Church, asked to keep the banner in order to discuss substance abuse with the young people and adults who come to them for other classes. We also realized the importance of discussing mental health, exam anxiety, and how much young people need each other’s support. We expanded our group activities and discussion activities, which helped students listen to each other’s experiences and become more empathetic towards each other. Additionally, we put more emphasis on Social Media, which is becoming the regular mode of communication between young people. While it is a great tool, it also poses a unique set of problems. We have built a Social Media and Media Literacy lesson into our 2018 curriculum in order to help young people understand the media they come across, and to act responsibly on social media. One of the most gratifying things for us was seeing just how capable these students were - in both traditional education, but also in creative problem solving and critical thinking. During the course of the pilot year, we introduced students to art analysis, film analysis, complex social and civic issues, and Rubik's cubes. The students not only engaged with all of these activities, but genuinely blew us away with their deep insights, their ability to pick up soft skills, communicate nuanced ideas, and even solve a Rubik's cube! If we were to name our biggest lesson from 2017, it would be realizing that this type of creative curriculum is necessary and sought after in Sri Lanka. That is why we are putting down the foundation to scale our programming to other regions of the country over the next few years, and build Sunayra Lanka into a sustainable organization. We hope that you continue with us on this journey! To find out more about our amazing first year, and to read some of our success stories, check out our Annual Report HERE. This piece has been inspired by articles by The Guardian’s Ben Tarnoff and The Atlantic’s Melinda D. Anderson. Who decides which skills are necessary for the workforce? This is a question that people the world over are trying to answer. This is especially pertinent to Sri Lankan youth, as the market is shifting, new investment comes in, and global forces are stronger. The model of education has remained fairly static since Independence, and efforts to bring in new technologies and innovative teaching practices have largely been on a very small scale. One of the bigger education interventions in Sri Lanka been computer coding, a skill that promises class and geographic mobility. But does it? A recent article by Ben Tarnoff in The Guardian, entitled “Tech’s push to teach coding isn’t about kids’ success – it’s about cutting wages,” criticises the efforts of Silicon Valley entrepreneurs and policymakers to make coding a part of school curriculums, pushing it as a skill necessary for youth to find high status jobs in the ever-growing tech industry and beyond. Tarnoff argues that their advocacy is not due to the value of learning coding, but that an influx of coders will enable employers to hire cheap labor and thus pay less. In areas like the Global South, outsourcing tech and support jobs, is the norm. Once tech support and customer service was outsourced to places like India, Sri Lanka, and the Philippines, the onus of education shifted to create employees for these global companies. Technical skills were taught to supply the needs of tech support, and English was taught to the level needed for customer service. A piece by Melinda D. Anderson in The Atlantic notes that from a computer science standpoint, coding is “insufficient” to guarantee high status jobs in the tech industry, since it must be combined with emphases on design and computational knowledge. As such, projects that support minority communities to learn how to code may not be preparing them to innovate or work at a high-level position if the curriculum is too limited. Simplistic teaching of basic coding also leaves out the various other skills needed to create innovators and highly skilled employees. On a basic level, teaching students how to get a job – creating a CV, being interviewed, how to find a job that suits a person, and not just a skill set. Moreover, this practice ignores talent and passion. When these skills are sold as a fool-proof way to Silicon Valley or tech mogul-dom, it does a huge disservice to the young people who, with few to no other prospects, turn to programs and projects like simple skills courses to provide them with employable skills. The articles by Tarnoff and Anderson provide pertinent ideas to consider when we seek to make sense of attitudes towards education, education policies, and other singular-skill programs. ‘Skills’ must not be viewed as existing in some sort of vacuum. Just look at the highly successful people doing TEDTalks, publishing management and leadership books, and discussing their personal journey to the tops of their respective fields. They may have a singular focus like Elon Musk, but that singular goal is attained through creative means that take into account many failures, pivots, and restarts. Success in any career necessitates the ability to problem solve, simultaneously observe the big picture and more minute details, and, however cliché, ‘think outside the box.’ If an understanding of design and innovation is important for careers in programming, for example, then a holistic education, which encompasses a focus on the arts and other creative components is important. In working with young people in the Batticaloa area, Sunayra has been mindful of encouraging them to utilise what they learn from our various sessions, from drawing, to creative writing, to acting, in order to expand their understandings of their own aspirations and potential. Our fundamental belief is that kids must be exposed to a variety of different subjects, ideas, challenges, and opportunities, not simply because this is inherently valuable for them but also because it sets them up for more success in the future. 1. Mann, G. (2008) ‘The social production of skill’, in R. Fletcher Beyond resistance: The future of freedom. New York: Nova Science Publishers; Steinberg, R. (1990). “Social Construction of Skill: Gender, Power and Comparable Worth,” Work and Occupations, 17(4): 449-482. 2. Steinberg, R. (1990). “Social Construction of Skill: Gender, Power and Comparable Worth,” Work and Occupations, 17(4): 449-482. 3. Gunasekara, V, Philips, M, Nagaraj, V. (2016). “Hospitality and Exclusion: A study about post-war tourism in Passikudah.” Secure Livelihood Research Consortium. April 7th marked World Health Day, a campaign created by the WHO to address various global health concerns. This year, the key issue was Depression. The idea behind the campaign was to address a startling rise in depression globally – an 18% increase in the last decade. We were so lucky to be in Colombo to take a look at all of the great initiatives happening around Sri Lanka to combat depression across all age groups, ethnicities, and sexes. We were particularly struck by the installation piece set out by the Academy of Design (AOD). Nadia de los Santos, the Head of Design Foundation, explained that the installation was borne out of seeing students struggling during exam period , without the appropriate channels to address their mental health issues. 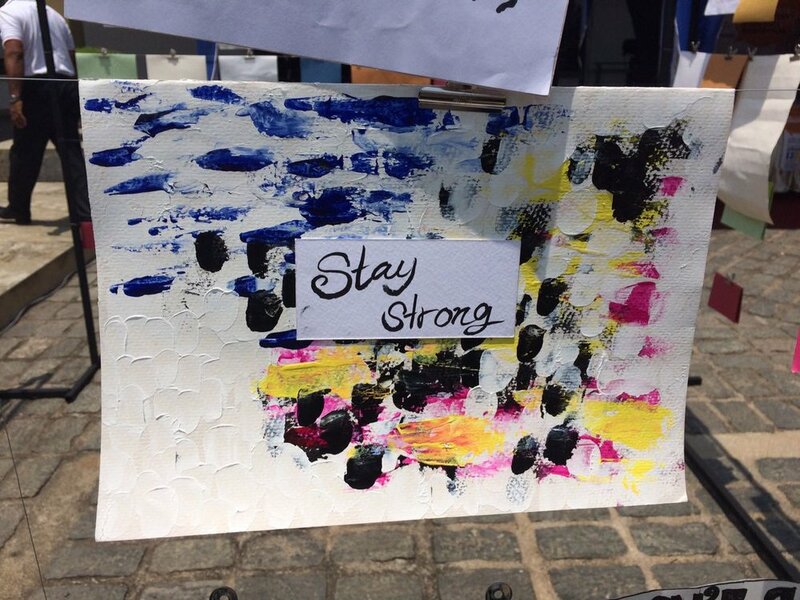 Using art, a strength at AOD, students were asked to make anonymous cards, either to express themselves, reach out for help, or to offer support. Some cards addressed social and academic pressures, insecurities, and negative thoughts, while others offered words of support and love. The AOD also had a table where they invited visitors to make their own cards to be added to the installation. Looking at those cards, it was easy to see that there is a need for appropriate and adequate mental health services in Sri Lanka. Our next stop was the CCC Foundation booth. Standing for Courage, Compassion, and Commitment, CCC gave us cards with words of support and a hotline number, open everyday, where Sri Lankans can call to talk for free, in either Tamil or Sinhala. I had no idea that this existed, and I will have to tell everyone I know about it! What we were looking forward to most, though, was the art therapy session. It was in the main tent, led by Registered Art Therapist Shimali Perera. There was a large crowd, but she made this big circle of people in an open air tent behind the Arcade feel like an intimate and safe space. She led us through some physical exercises, a meditation, and then a drawing exercise. We then shared our drawings and feelings with the group, and we all came away feeling safe, relaxed, and with more perspective. Mental health has become a trending topic, and we at Sunayra are so glad to see that some of the stigma surrounding mental health issues is lessening. Unfortunately, that isn’t the case everywhere, and treatment or open discussion is still difficult to broach in some areas. The key slogan is “Let’s Talk” – which, unlike some other health concerns, is the primary way to diagnose and treat depression. However, we can’t always sit down with someone and expect them to articulate their feelings. “Let’s talk” holds a larger meaning – it’s not just about one on one conversation, but about enabling people to talk about their lives, in whatever way possible. It urges people to open the avenues for self-expression, hearing others, and promoting change in communities and nations. We believe that when working with youth communities in Sri Lanka, talking is not always an option. This is why we have chosen creative means to open up those discussions. It allows the teens we work with to express whatever they want to in a safer space, through alternative means. Through group discussions, group activities, and creating art, they have opened up to us and expressed concerns about their life, communities, and futures. We are not registered art therapists, but we can arm these young people with the tools they need to continue to discuss their feelings, be aware of their mental health, and approach their future in healthy and productive ways. When translating my field notes for a research report, I noticed something - there was staleness in how I was writing. I was referring to people by numbers, not names. Of course anonymity is required to protect sources, but even after instituting pseudonyms, the way I described people who had been interviewed for our research was robotic. The complicated stories detailing how they survived through war, dealt with the death & disappearances of loved ones, and continued to grapple with issues in the post-war aftermath became evidentiary support for our report’s claims. One person’s story illustrated how the upending of gender roles resulted in tension between men and women, while another’s highlighted the problems of debt in a context of unstable livelihoods. While these are important points to make, there is a danger in divorcing people from their stories and using them instrumentally. Part of this had to do with my novice as a researcher. I had, until then, never written about people I sat down with, had tea with; people who told me their story first-hand. I don’t mean to speak for all researchers but I think it can be easy to fall into this trap - creating distance between your work and the real people who you have studied. Part of it may be because when you’re in the throes of writing, you focus on certain goals for the sake of efficiency: getting this section out of the way and moving onto the next; making sure you have evidence; trying to find the exact quote from the woman discussing corruption; worrying about the peer review; trying not to ‘be political’ but ‘objective’ (though it’s highly doubtful if that is even possible). Part of this may be inexperience, as in my case. Another factor may be using what is necessary to further your own agenda. Do you want to emphasize sexual violence in a post-war setting because you think that will obtain interest and funding? Ambika Satkunanathan, a researcher and lawyer in Sri Lanka, wrote an excellent piece about how various actors will often utilize women’s harrowing experiences with violence, and spin them to reveal what they want them to reveal. This all sounds incredibly cynical. Of course, not all research and writing is like this. But it happens. And at what cost? Women and young people, specifically, are often the targets of research and development interventions on conflict and poverty. Studies and reports on gender-based sexual violence, encouraging entrepreneurism amongst women and youth, and getting women ‘more’ involved in development are published regularly. The problem is that these are not homogenous groups. Yet the tendency to use these studies to perpetuate certain narratives about ‘victimisation’ or ‘empowerment’ persists. What does this mean for those who do not 'fit' easily into one of these categories? What do we gloss over when we view people from a single lens? As Satkunanathan argues, the effectiveness of transitional justice processes for groups such as women depends on them being able to decide what they want to share and how they want to share it. My desire for Sunayra is exactly this: to give traditionally "disenfranchised" groups the opportunity to become, as Satkunanathan says, “change agents.” Sunayra hopes to eventually foster the skills in expressive writing and storytelling amongst youth in post-war areas of Sri Lanka, so they can work through their experiences without the pressure of discussing one particular thing, fitting into a certain narrative, and without the constraints of a set of questions that the researcher needs to get through in an hour. Mira Philips heads up Sunayra's Research & Operations, and is currently pursuing her MSc at London School of Economics. Mira, and Sunayra, believe that critical analysis of current research attitudes is necessary to create long-lasting and sustainable change. I am so surprised that this is the first time I have come across this quote! This struck me in so many ways. It recalled my gratuitous amounts of cynicism as a preteen and teenager. As a survivor of childhood sexual assault, I understood the story – no, I felt the story. I laid my own story on top of hers, and saw the parallels. I never spoke of what happened to me. I became a cynic, I did not believe that there was anything good or beautiful or worthwhile. But art showed me beauty, it allowed me to speak, and it turned my young cynicism into what is now an almost annoying amount of optimism. Through painting I saw the world around me in a myriad of possibilities – from the Surrealism of Dali to the colorful Impressionism of Van Gogh. I felt my own voice grow as Beatrice wittily bested Benedick in Much Ado About Nothing. I learned how to construct my own dreams through the work of visual artists like Maya Deren and Fritz Lang (my tastes skew old). Throughout this time, I consumed as much art as possible - museums, books, films, music – and I attempted to create art as well. This did not go as well. I can explain why Manet’s brushwork is important, but I could not replicate it myself. Despite 10 years of piano lessons, my untrained younger brother is much better at the instrument than I will ever be. I am not an artist. I’m art-adjacent. And that is OK. In the end, exploring the arts and practicing the arts was never about my technical ability. Through my own arts engagement, I could leave my young cynicism behind, I was able to find my voice, and create my own future. I learned how to see the world in new ways. I understood possibility, hard work, dedication, passion, and creative thinking. The importance of optimism, imagination, and ambition in building a future cannot be understated. I truly believe that art, which helped me imagine and reimagine my future, culminating with the creation of Sunayra, is an important part of education and engagement for all young people. This is why Sunayra exists – to provide the tools for self-expression, engagement, and creative rethinking in order for young people to process, heal, communicate, and grow. I have been able to do these things for myself through my work with and around the arts. 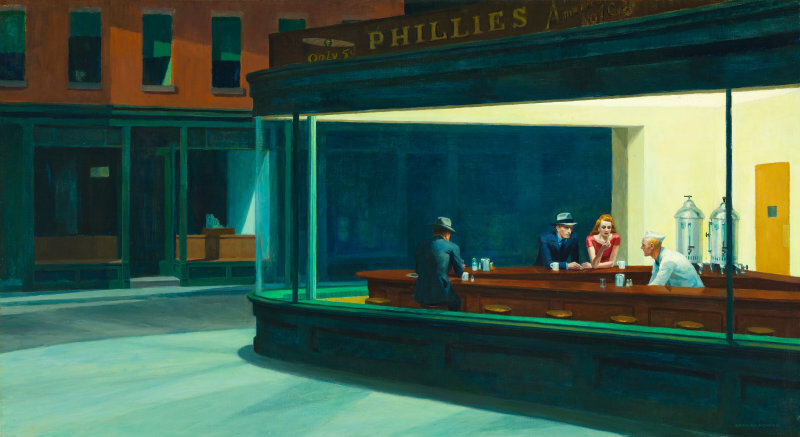 I have found inspiration for action in movies, literature, and paintings. I believe it is possible for war-affected youth in Sri Lanka to replace the cynicism of traumatic lives and histories with the optimism needed to build stable political, economic, social, and personal spaces for themselves and their communities. Sunayra does not strive for arts engagement to produce artists. We strive for arts engagement to produce passionate, creative, and empowered young people. No young cynics here. Welcome to the first Sunayra Sri Lanka blog post! We’ll be using this space to put out research, compile and analyze existing literature on issues affecting the youth in Sri Lanka, and generally muse on this beautiful and enormous task in front of us. We’ve had so many questions about how Sunayra came to be, and I thought I this would be the best place to answer them! It’s been such a beautiful and wild process, and now sitting here to write it all down for you, I realize that this will most likely be a series of blog posts. Sunayra was borne out of a very important and poignant six month Asia Foundation Fellowship where myself, Suruthi and Mira met. In the years following our Fellowship, we spoke at length about our experience in Sri Lanka, our diverse backgrounds as part of the Sri Lankan diaspora, and how much we wanted to contribute to Sri Lanka in a hands-on way. Sri Lanka is still grappling with rebuilding and reconciliation efforts after an almost 30-year Civil War. These after-effects are felt in all areas of political, social, public, and private life, and relationships between communities and individuals have been redefined. One of the things that struck all of us was that Sri Lankan youth in the Northern and Eastern regions were born into war, and have only a long-gone and almost unbelievable oral history of a pre-war life. Sunayra is dedicated to providing young people with the tools to creatively envision and manifest their own social and political futures, creating fulsome lives for themselves. While it is important for economic development to take place in an area which has faced as much isolation as Sri Lanka’s war-torn regions, Sunayra believes that post-war development must move beyond purely economic goals. We view engagement with the arts as promoting social rehabilitation and providing young people with the necessary tools to envision a personal and communal future for their communities . I was born in 1985 in the U.S. I was raised in a stable socio-economic space, where moves from house to house were meticulously planned, educations never interrupted, and where it never would have crossed my mind that I wouldn’t have access to things such as medical care. Within this context, it was a given that I would be able to do whatever I wanted with my life. At various points throughout my life I aspired to be a journalist, a writer, a politician, a lawyer, and a filmmaker, and I was able to explore each of these ambitions. The above is an idea that a lot of children of immigrants grapple with. A decision, a confluence of events that our parents experienced, set into motion a seismic shift as to how we envision our lives and futures. Without access to various after-school and weekend programs, would I have pursued the artistic and academic pursuits that I did? Without my American passport, would I have been able to travel the way I have? There are a lot of intersecting factors that made the choices of my life possible, but I think that the vision, the creative imagining, and the confidence to drive the future of the self and the community can exist in myriad contexts. Sunayra is dedicated to the idea that art promotes healing and empowerment on personal and communal levels. In a space that still bears the heavy toll of war, that sees so much economic and social isolation, whose future seems to be in the hands of those outside of it, empowering and creating visions of the future amongst those young people living within that space is imperative for sustainable political, economic, and social development. Engagement in creative thinking is especially pertinent to all aspects of life. “Thinking outside the box” is a valued skill in almost all fields. Without creative problem solving, there would be no technological advancement and political change would be slow. Visionaries are those who see outside of the parameters given to them – creating a new idea of how the world in which they live can be. We believe that it is of utmost importance at this juncture, just seven years after the end of the Civil War, that youth of the North and East become such visionaries. They have inherited isolated, war-torn regions, lacking in infrastructure, fertile lands, and only just finding stability. Sunayra hopes to provide tools, through different types of arts engagement, for these young people to process the tragedy they have inherited. But we also want to equip them with the ability to see past that, as well as past their parents’ and grandparents’ recollections of their communities, to imagine and create transformed and thriving regions. These youth have the ability to create this for themselves, but they need support from the networks around them. This support is not just financial, but emotional and educational. The creation of safer spaces to designed to empower, bolster self-confidence, and provide understanding are necessary. In the long term, we hope to engage people throughout the island. and all over the world, to use artistic frameworks in working with young people of these regions to explore themselves and their desires for the future. This is why we believe that our first project is so crucial to start this journey. Our initial plan is to work with young women in the Jaffna region to facilitate storytelling and expressive writing. For young women specifically, the war has opened up new spaces which they must negotiate, both social and economic, and both positive and negative. As such, the process of working through their feelings and experiences during and after the war is important at this juncture, not just for their own personal growth, but to enable them to start creative journeys in imagining their future and the future of their communities. From there, our plan is to sustainably and responsibly expand outwards – covering more regions, more forms of artistic expression, and incorporating young men and children into our programs. Well, that’s just the tip of the iceberg. This is a holistic project and Sunayra does not plan to take this journey alone. We are so excited to work towards a brighter, more hopeful future with the people and organizations on the ground who are already working towards reinvigorating those areas which were hardest hit by the war . Our success in this endeavour will not be possible without their knowledge and collaboration. Not only that, but we want everyone to be part of it. So come on this journey with us! Check us out on facebook and twitter and let us know what you think. Get in touch over email with any other questions or ideas you have. We want to engage on the ground as responsibly as possible and honesty, transparency and accountability are of utmost importance to us. If you think there are ways to improve our vision, let us know! Hope you are as excited as we are!